Take an almost century wide step back in time for an afternoon of glamour, glitz and delicious treats for Mother’s Day. 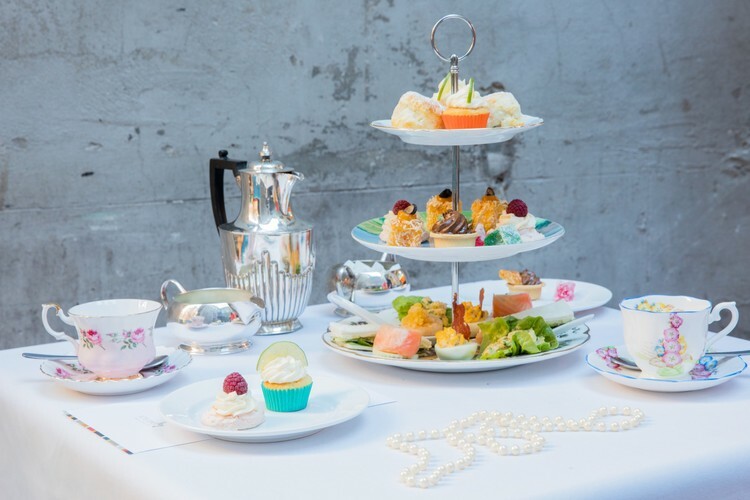 Our 1920s-inspired high tea menu will tantalise the taste buds of all cake and cocktail lovers. Guests can indulge in savoury delights such as Smoked Salmon Pinwheels, Devilled eggs with Crispy Prosciutto and classic Prawn Cocktail with Melon Salsa before enjoying a decadent sweet selection including Champagne Knox Dainties and Jaffa Mousse & Hokey Pokey tartlets. Those are just a few of the menu’s indulgences that can be paired with a selection of hand-picked New Zealand teas. Costy per person, including a “Easy Street”Cocktail on arrival and complemented by Hotel DeBrett’s 1920’s inspired packs filled with faux pearls, elegant headbands, demure long gloves and bright feather boas. Booking essential, please email reservations@hoteldebrett.com or call us on 09 925 9000 for a booking form.